PeopleDoc by Ultimate Software (“PeopleDoc,” “we,” “us,” “our”) is committed to protect the privacy of the individuals (“Users” and/or “you”) who register to use PeopleDoc Services (“Services”) on behalf of PeopleDoc’ Customers (“Customer”). 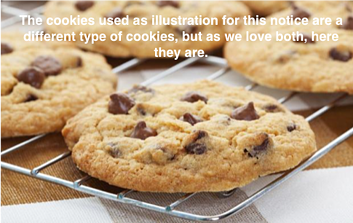 This cookie notice (the “Cookie Notice”) describes the different types of cookies and similar technologies that may apply on our Websites and Service. Any changes in this Cookie Notice will become effective when the revised Cookie Notice is published on this Website. Cookies are a standard feature of websites and web applications that allow us to store small amounts of data on your computer about your visit to the Website or Service. Cookies help us learn which areas of the site or application are useful and which areas need improvement. Cookies also enable the Website or Service to remember your actions and preferences over a period of time, so you don't have to keep re-entering them whenever you come back to the site or browse from one page to another. What Cookies does PeopleDoc Use? Click “Customize and Control” > Choose Settings > Type “do not track” into the search field and press enter > Ensure that the option labeled Send a "Do Not Track" request with your browsing traffic is checked. Click the menu button > Choose Preferences > Click Privacy > Ensure the option labeled “Request that sites not track you” is checked. Instructions for IE 11 - Click the Tools button > Select Internet options> Select the Privacy tab, and under Settings, select Advanced > Choose whether you want to accept, block, or be prompted for first-party and third-party cookies. Instructions for IE 10 or earlier – Click the Tools button > Select Internet options > Select the Privacy tab, and then under Settings, move the slider to the top to block all cookies > Select OK.
Click the menu > Choose Settings > Under Advanced settings, click “View advanced settings” >Under Privacy and services, ensure that the option labeled Send “Do Not Track requests” is on. From the Safari menu, choose Preferences > Click the Privacy tab > Ensure that the option labeled “Ask websites not to track me” is checked. On Windows, choose Preferences from the Settings menu (On Mac, choose Preferences from the Opera menu) > Type “do not track” into the search field and press enter > Ensure the option labeled “Send a 'Do Not Track' request with your browsing traffic” is checked.